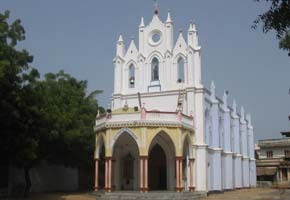 Kallikulam is a village located about 50 km from the Tiruchendur and Nagerkoil in South Tamil Nadu, India. 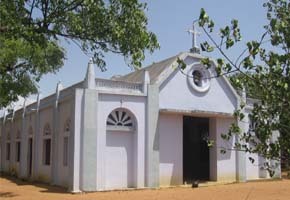 The village is famous for the Our Lady of Snow church located at the heart of the Terku (South) Kallikulam. The villagers were predominantly farmers but due to large export of labour to Gulf countries farming is now only a secondary profession. 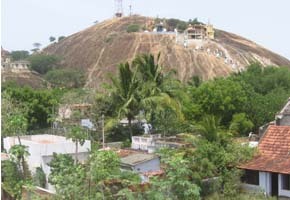 Kallikulam lies in the semi arid zone and water scarcity is looming large. Due to the influx of Gulf money the economy of the village has improved and the people have a high standard of life. Kallikulam has an Arts college, a high school, a middle school as well as a primary school. 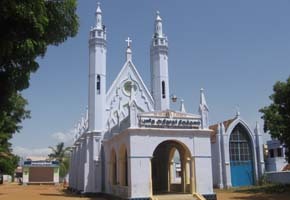 The 10 days Car festival of the "Our Lady of Snow church" is very famous in and around the village and attacts thousands of people from both from Tamil Nadu and Kerala. The shrine in the nearby hill is a tourist attraction and during the first Saturday of every month pilgrims throng the shrine. It is believed that Mother Mary appeared to the villagers from the hill. Even today one could see the foot mark of Mother Mary in the hill. © 2013 Kallikulam.com All Rights Reserved.